Never underestimate the power of a well-crafted fan film. Three years ago, Hollywood producer Adi Shankar teamed with Joseph Kahn to create a Power Rangers bootleg film so dark – so incredibly bleak – that it earned its R rating within the first three minutes. And while the subsequent reboot from Lionsgate was less than stellar, Kahn’s hardboiled fan film was a gritty, intense rendition of the hit ‘90s franchise – a slice of pure wish fulfillment crammed into a 14-minute timeframe. Point is, Joseph Kahn’s passion project helped raise awareness for Power Rangers, and one need only look to that famous Deadpool test footage for evidence of an online video sensation that helped stir excitement for project X. This week, it was Uncharted’s turn to receive the live-action treatment, and it even featured the dream casting of Nathan Fillion (Firefly, Castle) as Nathan Drake. 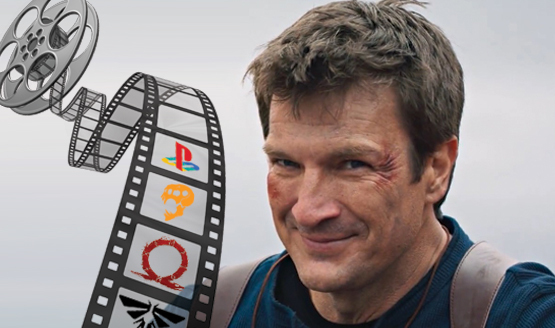 Boasting top-tier production values and an A-list cast to boot, it should be noted that Allan Ungar’s 15-minute fan film is totally unrelated to the ongoing quest to bring Sony’s iconic PlayStation franchise to the big screen; instead, what we have here is a delightful piece of fan service, as we watched Fillion’s Nathan Drake quip, shoot, and clamber his way through yet another zany hunt for a long-lost artifact. Flanked by Sully (Stephen Lang) and Elena (Mircea Monroe), Monday’s footage was vintage Uncharted, and it leaves us with just one question – well, three, really. Number one: will this Uncharted project really lead to “something further” as Ungar suggests? Why on Earth has Sony favored Tom Holland over Nathan Fillion for its live-action movie adaptation? And finally, what other PlayStation franchises are worthy of a live-action fan film? Let’s begin with the latter, shall we?